IBASSIN: 2017 Walmart FLW Mississippi River Day 2: Andy Morgan Leads with 31-4lbs! 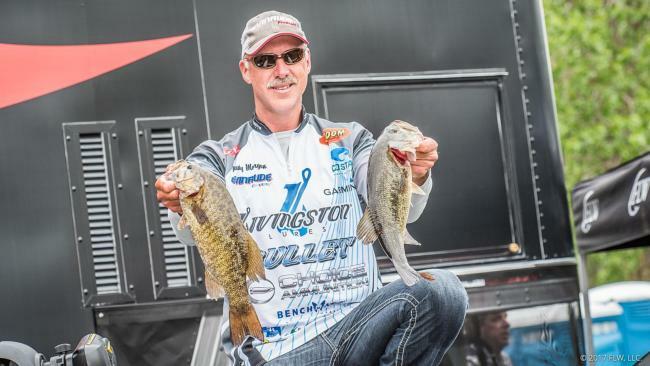 2017 Walmart FLW Mississippi River Day 2: Andy Morgan Leads with 31-4lbs! Gustafson 102th, Chris Johnston 104th, Cory Johnston 105th, and Richardson 141st. A river is a river. That’s the simple philosophy Andy Morgan of Dayton, Tenn. used to capture the lead on day two of the FLW Tour presented by Evinrude on the Mississippi River. Morgan cut his angling teeth fishing the “pools” along the Tennessee River – pools with names like Chickamauga, Nickajack and Guntersville. Though he’s never fished this part of the Mississippi River, in his mind pools 7, 8 and 9 are not much different than the “pools” he fishes back home in Tennessee. Friday he relied on his river-reading skills to sack up 14 pounds, 9 ounces of bass, giving him a two-day total of 31 pounds, 4 ounces. “Rivers are fun,” he adds with a chuckle, revealing the comfort level he has for the Mississippi. Like Thursday, Morgan’s species mix on day two was two smallmouths and three largemouths. Morgan has spread his fishing efforts across pools 8 and 9. Some of the “fun” in fishing the two pools has been jockeying with barges for position in the locks – an element of risk Morgan is also comfortable with from his experience on the Tennessee River. 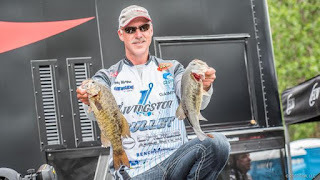 Once in his primary area in pool 9, Morgan says reading the water clarity is key, something the wonderful waters of the Tennessee taught him well. Morgan does not hide his intentions of heading to pool 9 again tomorrow.